If you have always wanted to be a professional oil painter but never got the opportunity to join a class or get guidance by an expert, then pay attention. The most important thing in every art form is to grasp the basics. One, who tries to learn an art form without knowing the basics and the origin of it, gets no success as their foundation is weak. Oil painting is an interesting form of art, but it must be understood to appreciate it and understand it well. Getting Introduced to Oil Painting will take you step by step into the world of oil painting. You will not be alone; you will be directed to the oil painting world by the experts themselves. 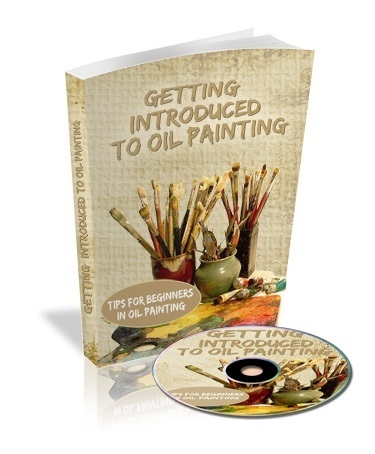 This ebook contains comprehensive details about the origin and birth of oil painting. It will take you back to the era when oil painting was known to none, and slowly artists recognized the need for it … and how the entire innovation of oil painting techniques came into being. Brief history of oil painting – Get to know the story of invention. Benefits and disadvantages of using linseed oil as a binder. Using alternatives oils as mediums. What are the things required to get started in oil painting. Tips for beginners in oil painting. What to choose and what to avoid? Where to invest and where not to? How to select the best painting brush while getting started? Which type of canvas to choose? Which type of oil painting medium is best for beginners? Includes ebook & MP3 audio.